If you’re reading this then it’s probably because you love coming in to CHALKBOX and want to optimise your training. This is great! However, the most overlooked principle to getting more results is proper rest and regeneration. It’s easy to fall into the trap of thinking performing more work, extra sessions, and training every day of the week is the key to becoming stronger and fitter. However, CrossFit places significant demands on your body due to it’s high intense nature, combine this with a hectic home/work/social life, then you need to ensure your body can adapt to the demands you’re placing it under. Training creates a psychological stress on your body and can result in inflammatory responses (both muscular and cellular). These responses can sometimes stick around in your body for up 5 days and during this time your immune system will be impaired, leaving you more susceptible to infections/illness. You every got a cold, lost your voice or flu straight after your workout? I have and it is exactly that. Failure to recover properly from the continuous demands and stress of life, training, and work can lead to a cycle of impaired performance and accumulated fatigue. This means that work alone is not enough to produce the best results, your body needs time to adapt to the training stimulus it’s placed under. This is known as Progressive Overload. Training overloads the system, and then recovery is necessary for the body to adapt, overcome fatigue, and then be fresh for the next session. How many of you have trained 3 or 4 days in a row, and noticed on that 3rd or 4th day that your energy levels were lower, and you just didn’t have the drive to push yourself as hard as you could that session? This is a result of short-term fatigue caused by heavy/intense training periods, and is your body’s way of telling you take a rest. A short period of rest following this will result in recovery and increased performance (i.e. gainz). If you ignore your body at this point, and continue training despite the small drop in performance and intensity, then you will be on your way to accumulating chronic fatigue. This results in a sustained drop in physical performance, a plateau in strength, and requires a longer period of recovery (weeks-months) in order to return to normal functioning. Not ideal in any way! 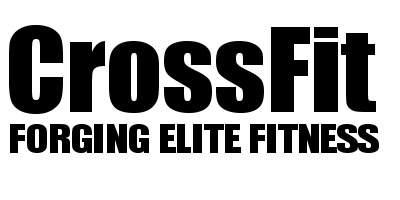 If you have ever looked or followed the programme on http://www.crossfit.com then you will notice that every 4th day is a rest day. This is the CrossFit model of work and recovery. Train 3 days on to 1 day off. This allows then for intensity to be maintained for the 3 days of training, with a day of recovery to allow the body to adapt, before starting the next few days of training. This work-rest schedule is also tied in to the way they programme workouts. Days will differ in workout length and structure, allowing the body to cope with the stress it is put under. We program our workouts in the same way. We cycle intensity, load, movements and many more things. We do not programme ‘rest days’ here at CHALKBOX as we know that you all have varying work structures and need to get in when you can. However, we definitely recommend you take every 3rd/4th day as a day of rest in order to recover and maximise your training. There are numerous recovery strategies out there, however without a doubt the most important are: Sleep, Body Management, and Nutrition. These are the 3 basic pillars of recovery, and unless you have them nailed then bothering with anything more complicated is pointless. Sleep and nutrition I won’t go in to too much detail over. You should sleep at least 7.5-9 hours a night when training intensely, and with regards to nutrition, you can read my take on healthy habits and good nutrition by checking the blog on the No Excuses Challenge here. With regards to Body Management there's active recovery and passive recovery. Active Recovery includes activities such as flexibility and mobility work, and low intense cardio like rowing, walking and biking. Flexibility and mobility work helps repair sore muscle tissue and move through ranges of motion when the body is stiff, and low intense cardio helps the body flush out toxins produced from intense exercise while getting more blood flowing through the body. Passive Recovery is exactly what it says on the tin. No exercise involved, but chilling out by reading, listening to music, watching a film, and activities with friends and loved ones. Social time with friends and families is often overlooked; the mind needs a break just as the body does! Combining these recovery factors while nailing your sleep and a proper workout to rest schedule will have your body feeling more energised and will bring you more PB’s in the gym! !